Every expatriate renting and/or owning a property in Dubai has to pay housing fee. “The housing fee is collected by Dubai Electricity and Water Authority (Dewa) on behalf of Dubai Municipality and the fee is applicable for all expatriates resident accounts in Dubai,” a Dewa call centre executive told Emirates 24|7. As per directive of the government of Dubai, the housing fee is charged to an account on the basis of 5 per cent of the annual rent amount (for tenants), or 0.5 per cent of the property purchase price (for expatriate owners residing in their properties). The value is then divided by the 12 months to charge the customer on a monthly basis. UAE nationals are exempted from paying this fee. Asked how a resident can file a complaint if s/he is being overcharged, the executive said that if the person believes the calculation to be wrong then s/he needs to provide a letter to Dewa, which will be updated in the Municipality system and checked. Copies of rent contract and the title deed must also be provided. “Whatever extras is paid will be credited to his/her account if one is overcharged. In case the calculation is right, the person will continue to pay the same amount on a monthly basis,” he added. So is the housing fee charged for vacant home? Yes, Emirates 24|7 did report earlier that even if an apartment remains empty, but has a Dewa connection, then the owner has to pay housing fee. 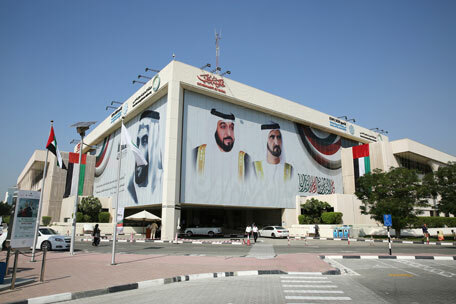 The former Head of Housing and Marketing Fees at the Dubai Municipality Abdulla Hashim Abdulghafoor had told this website that Dewa connection is the only requirement for the municipality to charge housing fee. “Whether an apartment is rented out or remains vacant, one still has to pay the housing fee as long as he has a Dewa connection. There is no exemption,” he said.